The cause of feline hyperthyroidism is a tumor (97% are benign) that secretes too much thyroid hormone and overstimulates your cat’s metabolic systems. Common symptoms of feline hyperthyroidism can include weight loss, increased appetite, vomiting, diarrhea, changes in the fur coat (such as hair loss), increased heart rate, heart murmur, anxiety, increased vocalization, and increased water intake and urination. While surgery is appropriate for a malignancy, there are two accepted treatment options for benign feline hyperthyroidism that should be carefully evaluated by you and your pet’s regular veterinarian before deciding on a course of therapy. These two treatment main options are (1) I-131 Therapy (also known as Radioactive Iodine or Radioiodine Therapy) and (2) Medical Management Using Anti-Thyroid Pills (Tapazole/Methimazole).Oral anti-thyroid medications act to decrease the circulating level of thyroid hormone. These oral medications do not cure feline hyperthyroidism and must be administered sometimes up to three times daily for the remainder of your cat’s life. Many cats will not tolerate these daily medications. Additionally, careful monitoring of your cat’s health during treatment with Tapazole is also necessary because toxicity that can result in vomiting, diarrhea, or altered white blood cell values, is not uncommon.Another temporary option for managing feline hyperthyroidism is with an iodine-restricted diet. While this diet requires specific criteria to be effective, there are hyperthyroid cats that could benefit from dietary control. Prior to starting an iodine-restricted diet it is essential that you are aware of the positives and negatives of the diet. One important difference is that this diet is not the same as administering medicine, nor is it a cure for feline hyperthyroidism, like I-131 therapy. To read more about this diet and its concerns, please visit the website of Dr. Mark Peterson, a well-known and respected specialist in endocrinology of cats and dogs. If a cat is a good candidate, radioiodine therapy is considered to be the least invasive and most cost-effective option, requiring only a single subcutaneous injection of a small volume of radioactive iodine. The goal of this unique treatment is to localize abnormal thyroid tissue and selectively destroy onlythe hyperfunctional thyroid tissue. Normal thyroid cells are usually spared, allowing them to return to normal function after the overactive thyroid tissue is destroyed.One drawback to I-131 therapy is that the cat must be hospitalized for no less than five days (to comply with California state regulations and to protect you and your family). Also, infrequently, some cats will require a second treatment or become hypothyroid following treatment. 2 percent of cats fail radioiodine treatment and can be treated a second time, 30 percent will become momentarily hypothyroid following treatment, and 5 percent will be permanently hypothyroid and will require an oral supplement once daily for life. Why Choose VICSD for I-131 Therapy? Your beloved pet is not just another patient to us — our doctors are committed to each and every single hyperthyroid case and have thorough knowledge of each of their patients. We strive to stay in constant contact with pet owners and their regular veterinarians before, during, and after treatment. This ongoing relationship helps to ensure proper case selection as well as a successful treatment and appropriate aftercare. Over the years we have become a nationally recognized leader in I-131 Therapy and have a 98% success rate. We undoubtedly set the bar for I-131 treatment in San Diego, treating more of San Diego’s hyperthyroid cats than all other I-131 treatment facilities combined. This is because of our nationally recognized expertise in this area, our commitment to cats and their owners, and our core value that all cats should undergo a thorough pre-treatment screening process. Our experience in imaging and treating feline hyperthyroidism ensures that only those cats who require treatment and can safely undergo therapy are selected. It is our firm belief that all cats should undergo extensive screening prior to hyperthyroid treatment. Although I-131 Therapy is painless and complications are very rare, poor case selection prior to treatment may result in a poor outcome. Hyperthyroidism in cats often coincides with renal disease, and treating cats with hidden renal disease may unmask renal failure, therefore, we screen all hyperthyroid cats by requiring a Tapazole (Methimazole) trial prior to treatment in order to weed out those patients who are prone to developing renal disease after therapy. Additionally, we can perform a nuclear scintigraphy study to further evaluate renal function, if necessary. All cats will receive a baseline echocardiogram (cardiac ultrasound) prior to treatment in order to exclude patients with severe heart disease since it is commonly associated with hyperthyroidism. This will also enable us to monitor the cat’s heart after therapy. We firmly believe in early therapy for heart disease that does not improve after feline radioiodine therapy is complete. There are a small number of cases of feline hyperthyroidism that will not respond to I-131 Therapy as a result of an aggressive tumor (carcinoma) of the thyroid gland, which is why a pre-treatment thyroid scan is performed on all candidates to screen out such cases. The image below links to a sample comparison of thyroid scan images between a cat who was positive for feline hyperthyroidism and another who was negative. Can you immediately tell the differences in images? As you can see, pre-treatment imaging is essential to selecting only those cases that will benefit from feline radioiodine therapy. Throughout the duration of your cat’s stay with us, the treating veterinarian and licensed technicians will monitor him or her closely several times daily. Each day, bladder and bowel movements, the amount of food and water consumed, and the overall appearance and behavior of the cat are recorded. You will be given updates throughout the week by our technical staff, and they are available to speak with you should any questions or uneasiness arise. We understand that it is difficult to be away from your pet, and we want to make this as comfortable of an experience as possible for you and for them. We welcome you to stop by during business hours to check on your cat and wave a hello through the large viewing window in our lobby. Furthermore, we have made it convenient for owners who are always on the go to view their cat via our I-131 Cat WebCam. When your cat returns home they will slowly start to return to their pre-hyperthyroid state. If they lost weight as a result of being hyperthyroid, it may take a while for them to return to their original weight. 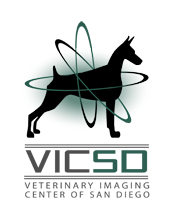 We will work closely with your regular veterinarian and follow your cat’s status over the course of the next year. In order to monitor his or her progress, we do ask that bloodwork is checked by your regular veterinarian at 1, 3, 6, and 12 months following treatment. We are not only concerned with the safety of your cat but your family as well, which is why you will be given specific instructions on caring for your cat once they have been discharged from our clinic. Please do not hesitate to call our office if you have any questions regarding safety or your cat’s health. We are here to answer all of your questions and address any concerns that you may have. You can read additional important information here.